Dalian Wanda Group Co Ltd (Wanda Group) today announced that it has acquired US Legendary Entertainment for no more than $3.5 billion in cash, marking China's largest cross-border cultural acquisition to date. Thomas Tull will remain as Chairman and CEO of Legendary and will continue to be responsible for its day-to-day operations. Legendary is a leading film production company that owns film, television, digital and comics divisions. Legendary has delivered many of the world's blockbusters, including the Batman trilogy, Inception, The Hangover, Jurassic World, 300: Rise of an Empire, Pacific Rim, Man of Steel, and more. 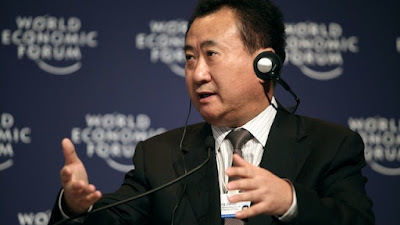 "The acquisition of Legendary will make Wanda Film Holdings Company the highest revenue-generating film company in the world, increasing Wanda's presence in China and the US, the world's two largest markets. Wanda's businesses will encompass the full scope of film production, exhibition and distribution, enhancing Wanda's core competitiveness and amplifying our voice in the global film market," said Wang Jianlin, chairman of Wanda Group. Tull said in a statement, "Together, Wanda and Legendary will create a completely new international entertainment company. There is an ever growing demand for quality entertainment content worldwide, particularly in China, and we will combine our respective strengths to bring an even better entertainment experience to the world's audiences." After the acquisition, Wanda will help Legendary increase its market opportunities, especially in the fast-growing China market, enabling Legendary to expedite the growth of the company. Wang said that Wanda Group would start integrating production and release assets, going public as soon as possible. But Wang didn't tell which capital market Wanda would chose, saying it's still under consideration. Besides the two biggest film markets in China and the US, Wanda is also looking for purchasing opportunities in Europe, especially in Germany, England and France, Wang said. "But European assets are relatively expensive, so we are waiting for better timing to purchase," said Wang.